Thanks so much, Sophia Rose!! I love Joanna Starnes and can’t wait to read this! Thank you for the opportunity to win! I’m SO happy you liked my other books, Laura! Hope you’ll like this one as well. Best of luck in the giveaway and thanks for stopping by to read Rita’s fabulous review!! I have all of Joana’s books and loved every single one of them. I look forward to reading this one. I have followed the blog tour for those blogs that I know and love. Thanks Rita for hosting. Thanks to Joana for 1st writing the book, then for her generous give-a-way. I don’t do audio but I would love to win a book… or the gift card so I could buy the book. It is a win-win situation. Blessings on the success of this work Joana. Thanks again for stopping by to read Rita's ever so thoughtful and detailed review, and have a lovely and relaxing summer! I so agree with you. I love all of Joana’s books and am looking forward to reading this one. I’m so glad you loved my other books, Eva! Thanks so much for the thumbs up and best of luck in the giveaway! Great to hear that, Victoria, I do hope you’ll like it. Thanks for stopping by to read Rita’s wonderful review and best of luck in the giveaway. Thank you for the giveaway! I am new to this author’s work and look forward to reading it! Lovely to hear that Rita’s wonderful review caught your eye and introduced you to my work. Many thanks for stopping by and I hope you’ll like it. Thanks, Jo’s Daughter 🙂 . So glad to hear that. I do hope you’ll like the book. Thanks so much for following the blog tour and best of luck in the giveaway! Another insightful review – thank you and all the blog owners who hosted this book! It’s lovely to discover so many aspects of it through your eyes! I wish Joana success with this book too! The review was so wonderful, Agnes, and so thoughtful and detailed, while not letting anything out of the bag, not even a kitten 😀 . HUGE thanks for that, Rita, and all the lovely ladies who hosted the blog tour, and Claudine, who made it all happen. So glad you discovered several aspects about my new book, Agnes, and I hope you’ll like the full story if you read it. All the best and thanks for following the blog tour. Lovely to hear that! Thanks for stopping by to read Rita’s fabulous review, and I hope you’ll like the book. Rita, this is just fabulous!! HUGE thanks for the gorgeous review!! I’m so happy you loved the book, even if I drifted towards a different style this time. I remember it was here, on your lovely blog, that I started talking about this book when it was just a jumble of notes [https://frompemberleytomilton.wordpress.com/2017/11/30/pemberley-beckons-a-guest-post-with-joana-starnes-giveaways/] and I said that after all that yearning and gloom, I really felt like writing something light-hearted for a change (even if it started with George Darcy’s demise). Huge thanks again for your ever so kind words about my books, for hosting me today and for the awesome review!! Take care and all the best! I’m another lover of Joana’s books and I’m certain I will love this one. What a wonderful review Rita, you have mentioned my favourite aspects – low angst, romance, besotted Darcy and responsive Elizabeth along with a great writing style! Throw in the reactions of Darcy’s parents and the help of a persuasive Colonel Fitzwilliam and Mr Bennet. Can’t wait to read this one. Thank you. Thank YOU, Glynis, for your ever so kind words and your wonderful support. So glad you found so many of your favourite aspects in Rita’s review. Huge thanks to you both, lovely ladies! So glad you loved them! Thank you! Hope you’ll like this one too. Thanks for stopping by to read Rita’s wonderful review, Maria! So glad you liked it. Thanks for following the blog tour and hope you’ll like the book. Thanks for the review, it sounds like one I would really enjoy. So glad to hear that, darcybennet! I hope you will. Wonderful review! I’m a huge fan of Joana’s books, and I look forward to reading this one as well. Thanks so much, Pam! I’m so happy you loved my other books. I hope you’ll like this one as well. Thanks for following the blog tour and all the best! I must commend you on your enthusiastic review of Joana’s book! Yes,you certainly did enjoy it,her strong characterisation,Lady C’s portrayal and the many comedic moments! With reference to what you said about Lady C. being oft cast as a villain,I guess it’s because she’s often tunnel visioned in her attitude to Anne’s marriage to Darcy. Seldom do we see her portrayed in any other guise,and when we do,we applaud the author for thinking outside the box. Did Austen cast her as a villain?Food for thought,but perhaps villiam is too strong a word for it. 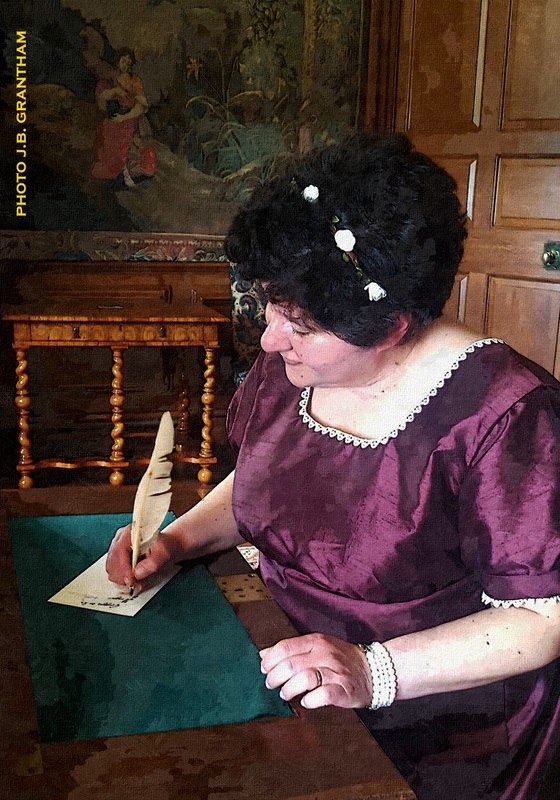 I honestly think she believed Darcy would do ‘his duty’ by marrying Anne, never,for a moment,thinking that he might actually marry for love,or consider it a remote possibility!! That is a topic for discussion for another day!! I’m glad you loved Joana’s story and I’m really looking forward to reading it. Thanks so much for yet another wonderful comment, Mary, and for stopping by to read Rita’s great review. Thanks ever so much for your warm wishes and all your lovely comments along the blog tour, I had such fun reading them and replying to them! Beautiful review Rita!!! Whatever Joana writes I will read it! She never disappoints! What a wonderful way to end the blog tour! Congratulations Joana and congratulations Rita on an amazing review! That’s so kind, Carole! Thank you for your wonderful words about my books and for stopping by to read Rita’s truly amazing review! So glad to hear you’re planning to take my new book to the beach as your holiday read, Ginna, and over the moon that you liked my other books. Thank you for your encouragement and kind words, much appreciated!! Thanks for stopping by to read Rita’s wonderful review, Denise! Best of luck in the giveaway and thanks for following the blog tour. Great review Rita! I’m so sad the blog tour is coming to an end. I’ve enjoyed all the stops. I can’t wait to read your book Joana! Thanks for the generous giveaways. Best of luck in the giveaway and thanks again for your wonderful words and your support! Great review Rita, thanks for sharing. So glad you liked it, Kate! XXL thanks for following the blog tour and all your support, hugely appreciated!! Thank you for your review, Rita. The more I hear about this book, the more I want to read it! Congrats, Joana, on your newest book! Thanks for your kind words, Lori, and for stopping by to read Rita’s wonderful review! Best of luck in the giveaway and hope you’ll like the book. Oh, Joana, you must be so proud! A five star review, and the wording so generous and filled with information to interest the reader without giving too much away. Congratulations on a very successful blog tour! Also congratulations to Rita for knocking it out of the park in terms of excellent review writing. You really show a talent, my dear. It was such a wonderful review, Suzan! Thanks ever so much, Rita, for crafting it so beautifully, for the welcome to your blog and all the happy times :)) . Thanks, Suzan, for your support and the lovely comments along the blog tour, much appreciated! Have a great weekend, lovely ladies! 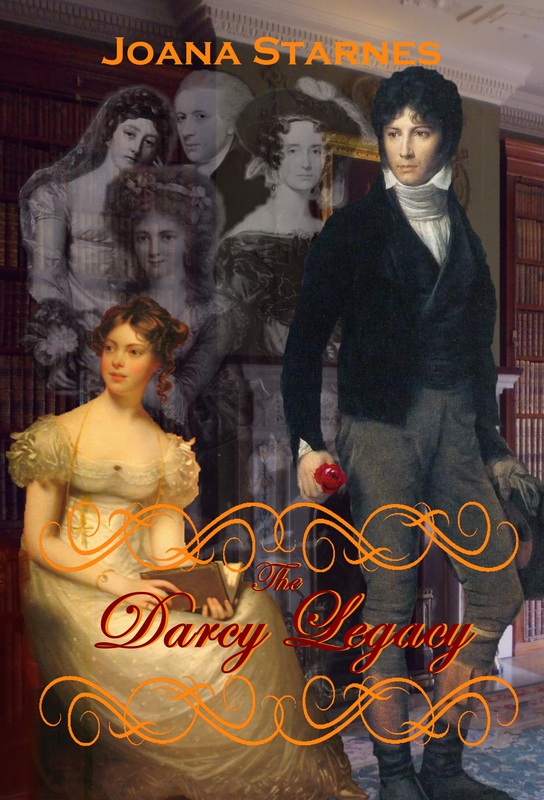 Thank you for describing what we can enjoy in Joana’s The Darcy Legacy, Rita. Paranormal genre is not my cup of tea but since it’s JAFF, I don’t mind giving it a try. In fact I wouldn’t read this type of novel if there’s no Austenesque connection. So glad you’re tempted to give it a try 🙂 Many thanks for all your lovely comments and support and I hope you’ll like the book. LOL So glad you’re game for funnies and spookies :)) Great to hear that, Rellaenthia, and I hope you’ll like the book. Best of luck and thanks for taking part in the giveaway!